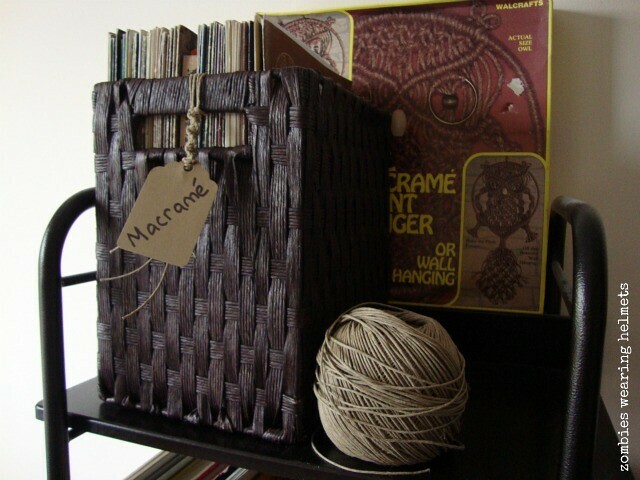 This is the basket that I keep all my macramé how-to books in. (Why yes, that is a vintage macramé owl kit behind it!) 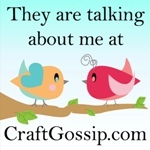 I decided to spiffy it up a bit with a new label....a new, macramé label. Ok, so the tag itself isn't macraméd, but I still dig it. Actually, to be perfectly honest, I'm quite pleased with myself! 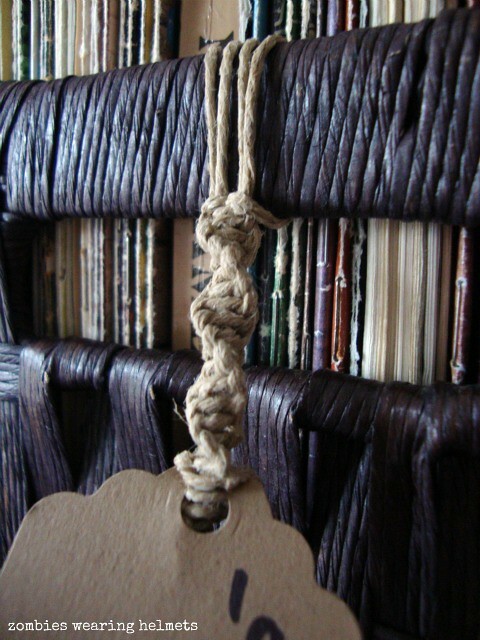 This is the first macramé thing I've made since my weird obsession began. I made lots of macramé jewellery when I was in my early 20s, but at the time I didn't know that macramé was just a bunch of different knots. So what do you think? Six of those eight sentences had the word macramé in it. Oh wait, now it's seven out of ten. So, are you going to make that kit???? 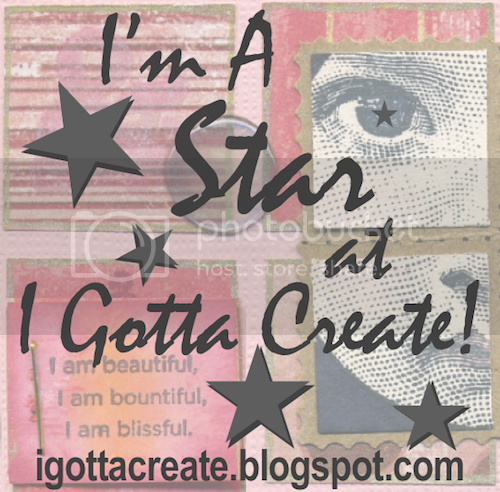 Hiya....thanks for popping over to my blog! I once went to a knot convention...it was really interesting....such a complicated thing to do! It is indeed! And it takes lots of time and patience too. Pop Tarts and Lovecraft and cross stitch! Oh my!